Make Life Easier with Homemade Chalkboard Paint! Chalk It Up! A Fun, Easy Back to School Project! It’s almost time for school again and your morning routine is about to get a bit more complicated! How can you simplify your morning routine with one simple household project? It’s easy! Make a place for you and your kids to share reminders. A fun way to accomplish this is to paint all or part of a wall with chalkboard paint. This paint can come in any color and turns any surface it’s applied to into a chalkboard. Benjamin Moore and other major paint brands manufacture chalkboard paint, readymade, but I’m going to save you money with an easy recipe for making it at home! It’s simple, inexpensive and you can make as much as you need! Mix 2 Tablespoon of Unsanded Grout per 1 Cup of House Paint. 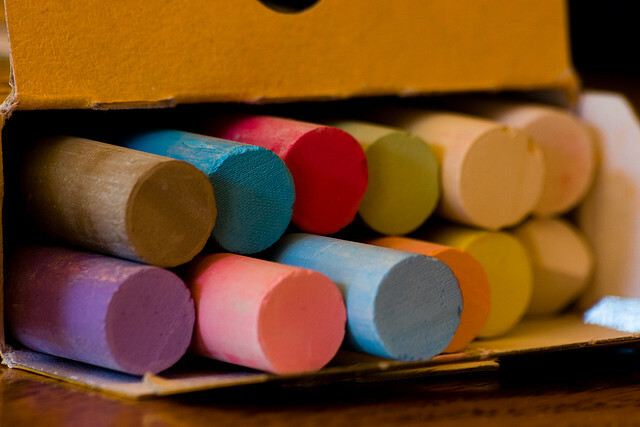 Use any color you like for a completely custom chalkboard look! This paint is good for much more than walls. You can paint just about anything with it. Never forget what you need from the store. Paint turns the inside of the pantry door and medicine cabinet door into a chalkboard to keep a running tally of what you’re out of! Keep track of what’s on your shelves by painting and labeling the storage bins! With a little painters’ tape you can mask out an area and create a re-usable chalkboard label on the dry goods containers in your pantry! This is a great place to keep the date you filled the container, too. You’ll never have to wonder how old the coffee beans or popcorn are again! Create a chalkboard table top where your kids do their homework. They can work out math problems on the surface! Paint the center of a platter or plate with an attractive border to make a one-of-a-kind chalkboard for your kitchen! Paint the bases of your wineglasses before a party, and guests will be able to label their own glass to keep track of it! Make sure that all your tools go back where they belong. You can create a chalkboard background in your garage or workshop to mark where everything hangs and paint workbench and toolbox drawers to keep track of what’s inside! 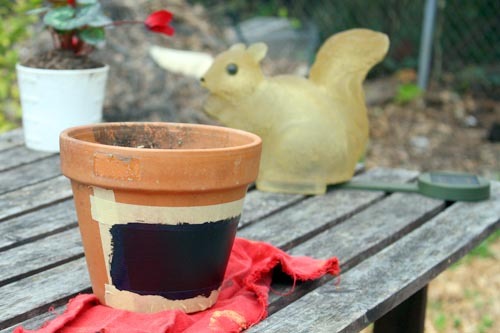 Paint your planter pots to keep track of which herb is which or what plants are on the way while they’re still seedlings! Jacqueline Scura is a Top Selling Agent in NJ and has over 28 years of experience as a Realtor. Her unparalleled local Real Estate expertise and involvement makes her a resource for Morris County Real Estate Advice & New, Town Events and Information and Household Tips & Tricks. She specializes in Parsippany Real Estate, Boonton Real Estate, Boonton Township Real Estate, Denville Real Estate, Montville Real Estate, Rockaway Township Real Estate, Caldwell Real Estate and Mountain Lakes Real Estate. Narrow down your search for Rentals or Condos and Townhomes on my site!